When the sun finally appears in Britain, we all want to get outside and make the most of it, because you never know how long it’s going to be around for! 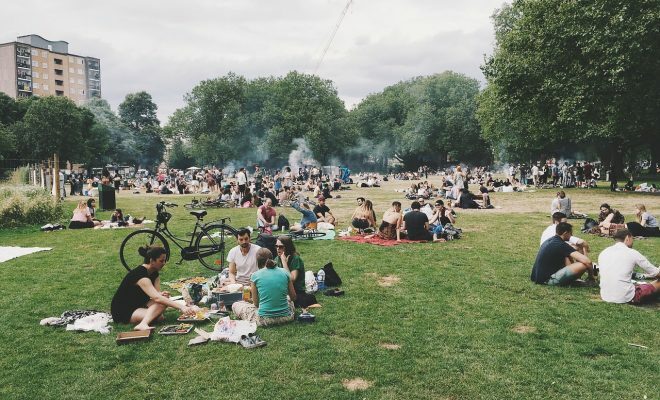 If you can work outside, eat, play, even sleep outside, now’s the time, and there are many outdoor entertainments over the summer months too, as venues everywhere try to capitalise on the long, warm days ahead. If you’ve never spent a day at the races, visited Wimbledon or the Henley Regatta, watched a polo match, attended Proms in the Park or another music festival, or fallen asleep watching cricket, you’re missing out on some of the best things the British summer has to offer! With so many events to choose from, you’ll be spoiled for choice. Sharing trips with people you love makes for a far more memorable occasion, whether that’s your partner, family or good friends. When you’re choosing where to go, see what all the members of your party would like to do so you can make sure everyone will have a good time. Tickets for these events can be pricey, and sometimes hard to get hold of, so you might need a sizeable budget. When you buy tickets online, be cautious if using secondary resale websites as they can charge a lot more than official sites and may have hidden extra charges. Check to make sure that your ticket will be valid, as some organisers will only allow entry with photo ID. You also need to think about travel and accommodation. If it’s a day trip, who will be driving? Consider whether hiring a minibus would be more cost-effective than going separately. Accommodation at or close to the venue is likely to be more expensive and could be in short supply, so look at locations further out. It’s also worth taking out insurance to cover the cost of your tickets if you end up not being able to attend. Picnics are perfect for outside events, saving you the bother of queuing for hours at catering stations and paying over the odds for your meal. Everyone can contribute a food item and/or drink to the picnic, so no-one has to do all the work, and there is a good variety of different things to eat. With it (hopefully!) being hot, you’ll need a cooler for all your perishable food items and to keep your wine chilled. Go for a good quality product like RTIC coolers, rather than a cheap item that may not keep your picnic cool enough. You’ll also need something to sit on if there are no seats at the venue. Lightweight camping chairs are a good choice as they take up little room and are comfortable for prolonged periods of sitting. Depending on your event, you could also need blankets, cushions, lightweight waterproofs, and binoculars. It’s also a good idea to take a bag with first aid items plus painkillers and sun cream, just in case you get a headache, cut yourself, or get a touch too much of the sun. Now you’re ready to experience one – or maybe more – of the fantastic array of special British summer events, so get your glad-rags on and go and enjoy yourself!